Passive vs. Active learning is not a new concept, but I hadn’t heard it discussed in the context of riding instruction before. 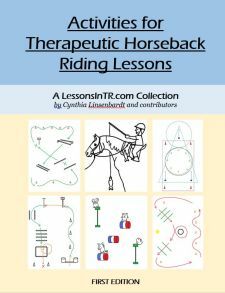 The book “Teaching Tips for Horseback Riding Lessons” by Jo Struby brought this up and I wanted to share. Basically, passive learning is through receiving, while active learning is through doing. The instructor tells you what, why, how and where to do something. The student does the doing instead of the teacher. What do you think you need to work on? Let’s work on that. Can you create an exercise for this skill we’re working on for the the next lesson? Struby notes that riding instructors tend to use passive teaching a lot, and should remember to include active learning parts to a lesson as well. There is a time and place for both. Note that less structure means the instructor must be more prepared for a variety of unforeseen outcomes! Struby notes that most experienced instructors use a combination of structured and unstructured lesson styles depending on the student’s needs and preferences. I thought these were interesting concepts and am going to start looking for specific ways to include more active learning and some unstructured time in my lessons for those riders I think it would help! Have you used these techniques in your lessons? I love how this is put together, thank you! I think I mostly teach a combination of structured/unstructured lessons. I like to start out with a plan, but then kind of see how my riders are feeling that day and go from there. I feel like it fits my personality better than having a completely structured lesson from start to finish. But at the same time, I sometimes have riders who need the structure and consistency of a lesson plan from start to finish. 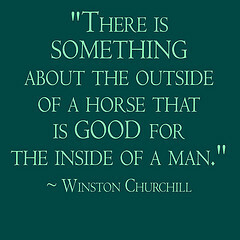 As always, it depends on the rider’s needs.